It's Friday!!! I have a hybrid scrapbook page that I made a while ago to share with you today. 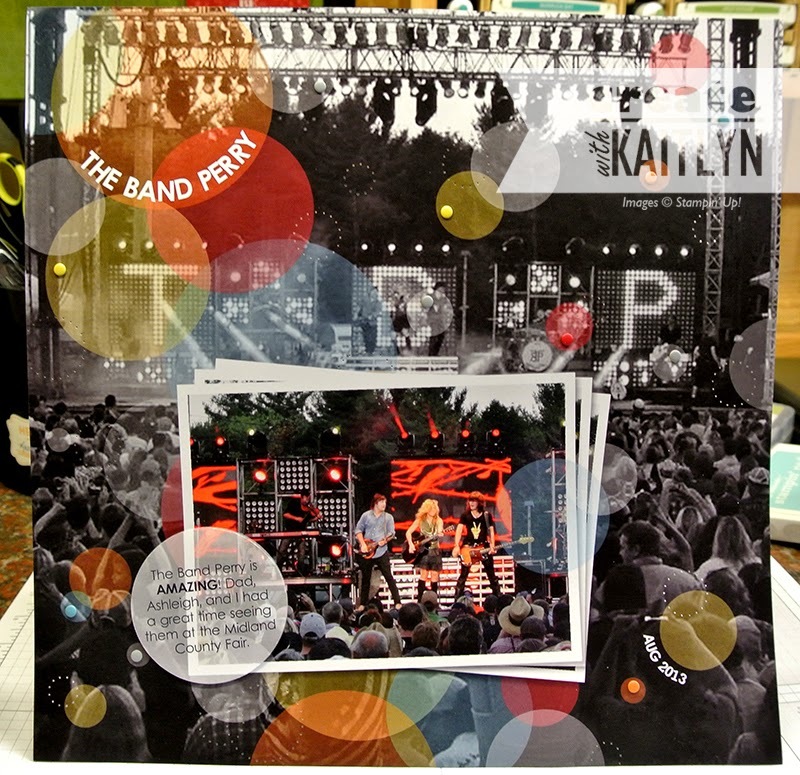 This page is of a concert I went to last summer starring The Band Perry (one of my favorites! like seriously, you should check them out). I can't help but think of warmer weather and summer fun when i see this page. (Click on the pictures to see them larger). 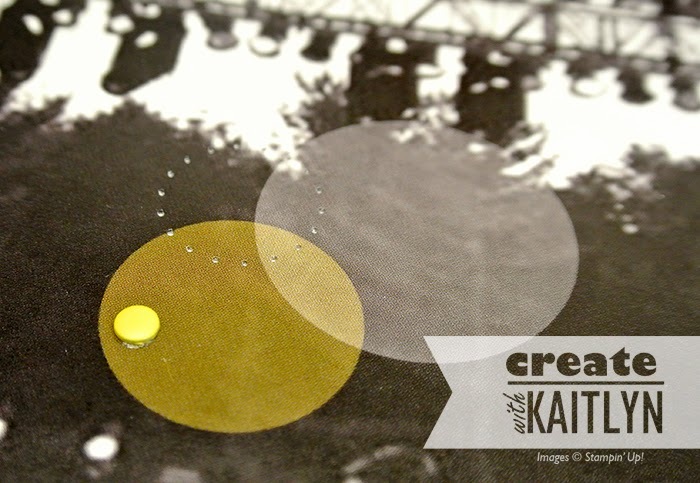 This page was so simple to make using My Digital Studio, but has a real wow effect. This page actually uses no additional downloads, so if you've just started playing with MDS, you can make this page! I started by using a picture as my background that I turned into black and white (you can do this right in MDS). Then I used some circles in a variety of colors and sizes to create movement on the page. I lowered the opacity of the circles (about 30%) to allow the background picture to come through. I decided to just use one photo as a focal point, and layered it several times on itself. A great trick to add dimension to an MDS page is to apply drop shadows, which is what I did to the layers of pictures. 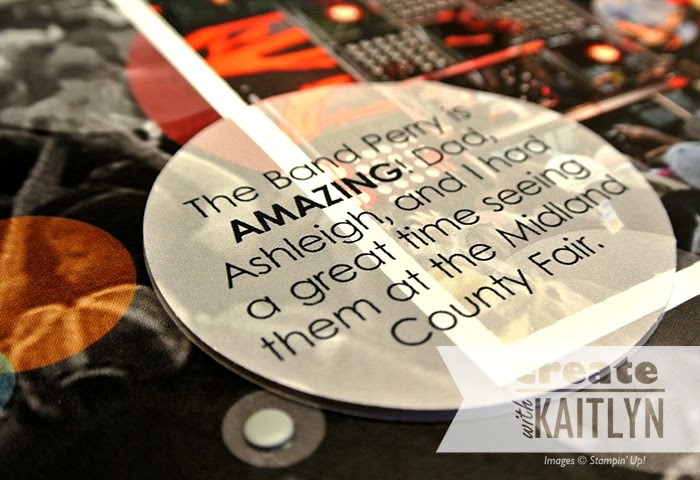 I got two copies of this page printed, an cut out the circle with text on one of them. I then used some Stampin' Dimensionals to pop it up on my final page. This just adds a little bit more interest to the page. To add just a little bit of something extra to the page, I added some paper-pierced circles (you can kinda see them in the first picture). I really love the subtle detail that the paper-piercing adds! I also added some Candy Dots to highlight the colors. Overall, I think this is the perfect concert page!